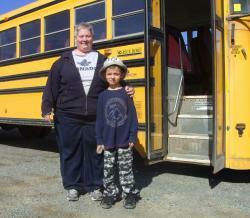 Ann-Marie is a valued driver who benefits by bringing her child on the bus – No childcare costs. Ann-Marie is one of the reasons that students are always in good hands with Landmark. If you’d like a job where your child can be with you, why not join Ann-Marie as a member of our team.